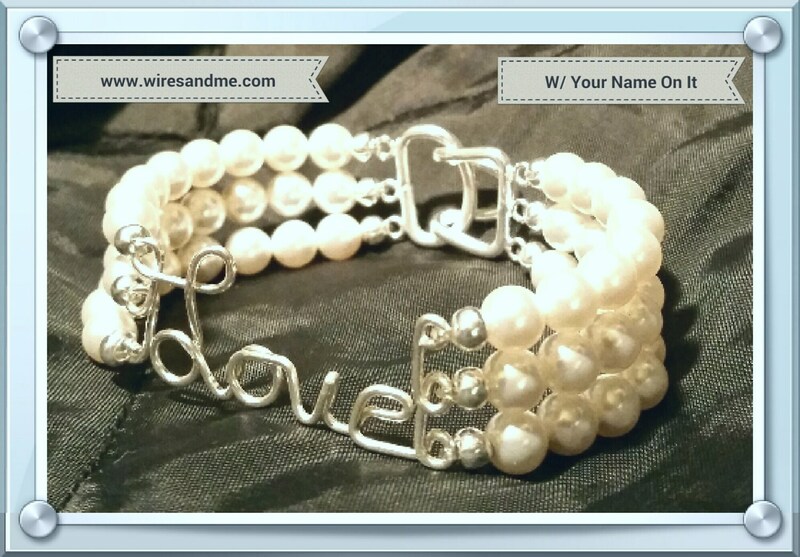 Personalized Wire Name Bracelet with Swarovski Crystal Pearls. 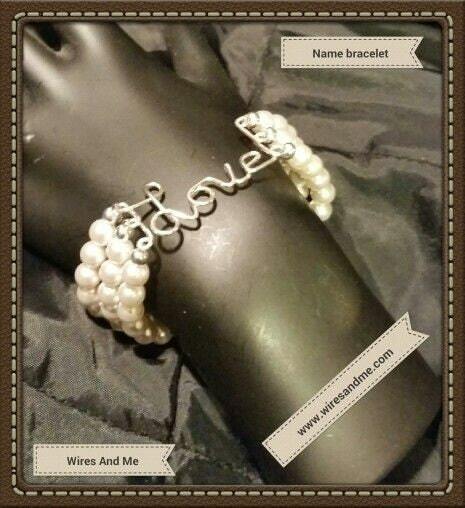 Personalized bracelet to any name you wish. (words like love, believe, or your love one's name, even your name. 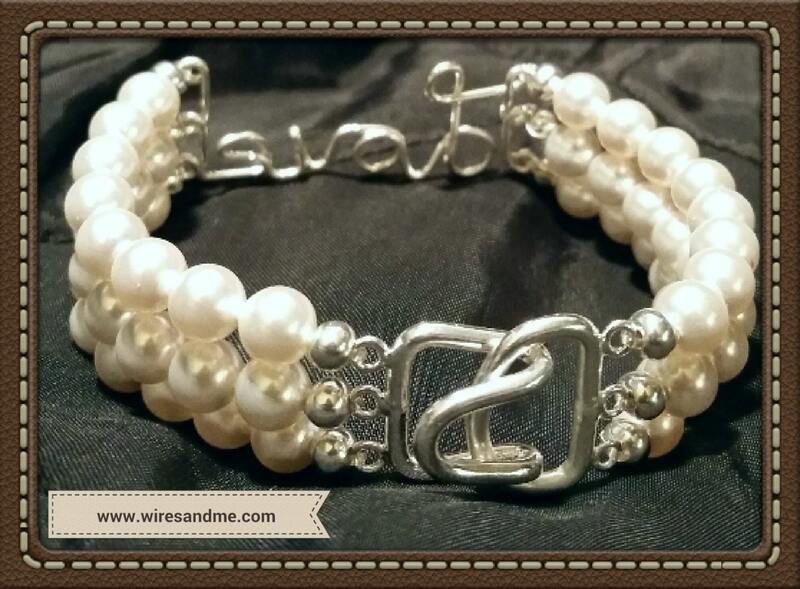 * bracelet size is 7.25 standard, if want other size pls indicate by inches.